This had to be on Fuji’s mind when they released their newest format, Instax Square, to sit between Instax Mini and Instax Wide sizes. The Instax Square, for better or worse, looks exactly like a vintage Polaroid frame. 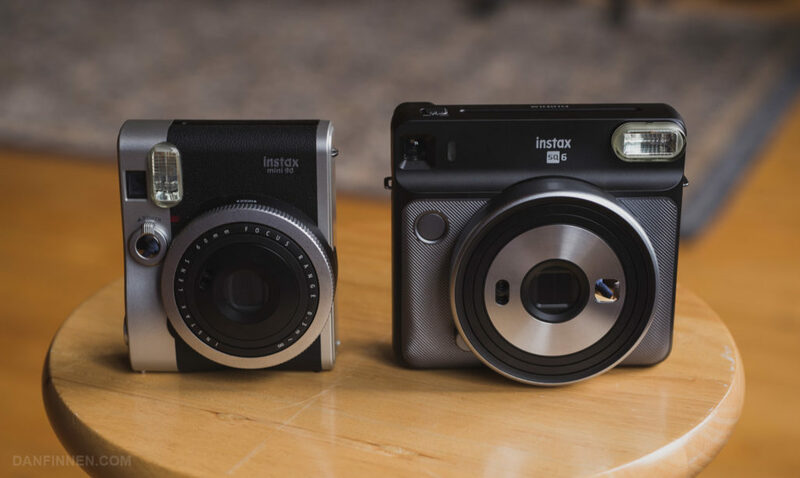 The only difference, which certainly isn’t clear in press materials and advertisements, is that the Instax Square frame is much smaller than a Polaroid. They’ve more than given up on anybody trying to tell the difference – they’re actively exploiting the confusion at this point. 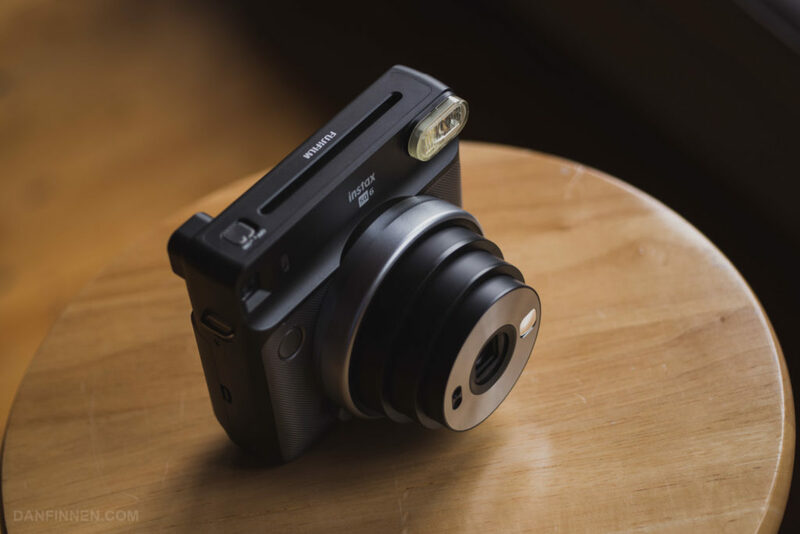 The first camera that Fuji released for the Instax Square format was, strangely enough, a digital camera called the SQ10. 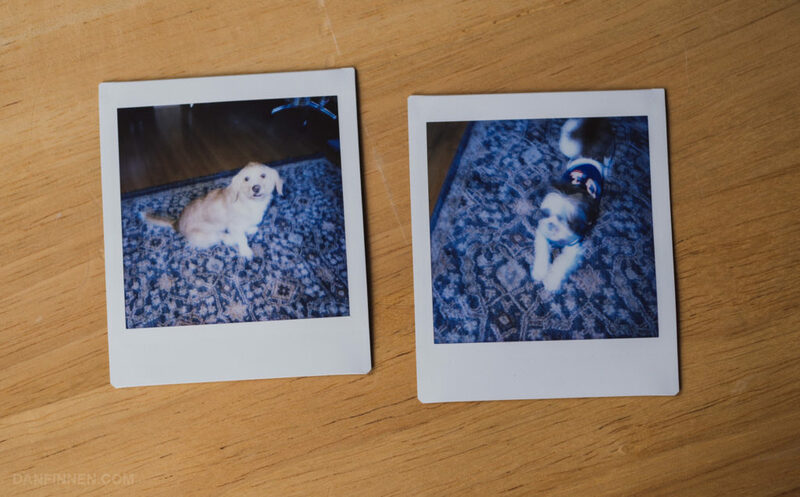 Images were captured on a sensor, then printed on Instax Square film. I personally don’t have much use for these kind of cameras, as it combines the worst of both worlds. Either shoot a digital picture on a phone to share online instantly, or take an instant film photograph with no digital interference. Lomography actually came up with the first fully analog camera that used the Instax Square film, but I haven’t purchased one because of past disappointments with Lomo instant cameras and the high price. However, when the fully analog SQ6 was announced by Fuji, I eagerly put in a pre-order. At long last, would this be the answer to the cramped constraints of the Instax Mini image size? Would this make up for the atrocious ergonomics of Instax Wide cameras? Would this be a fatal blow against Polaroid Originals’ genuine, but more expensive Polaroid format film? Unfortunately, Fuji Instax Square film and the SQ6 aren’t exactly a home run. In classic Fuji fashion, some head scratching design decisions kneecap an otherwise solid effort and prevent an excellent film format from reaching its full potential. First, let’s talk about Fuji Instax Square film itself. I’m not going to write a separate review of this film, because it’s functionally the same as Fuji Instax Mini and Wide color films, just a different size. My biggest question before getting this camera and film was always just how big Instax Square was going to be. Turns out, it’s much closer to Fuji Instax Mini than Polaroid or even Instax Wide. 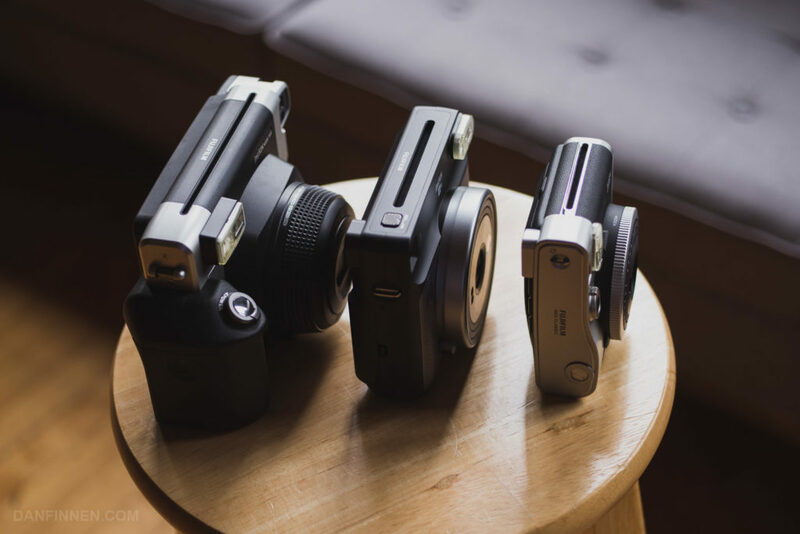 Instax Mini and Wide share the same height, so it’s pretty clear that they come from the same assembly lines and are simply cut at different lengths. Turns out Instax Square also shares the same height, so it’s just a slightly wider Instax Mini frame. An Instax Square image sitting on top of a Polaroid. There’s still a big difference. Instax Mini is great, but the tiny frame size has always made the format better for events and parties than for serious artistic work. Unfortunately, the same is the case for Instax Square. However, every bit of extra room does make a big difference, and the Instax Square film itself has the potential to be even better for events and parties than Mini without much of an increase in price and camera size. However, until we get a better camera than the SQ6, Instax Mini is still the way to go for now. So let’s hop into the highs and lows of this new instant film camera. 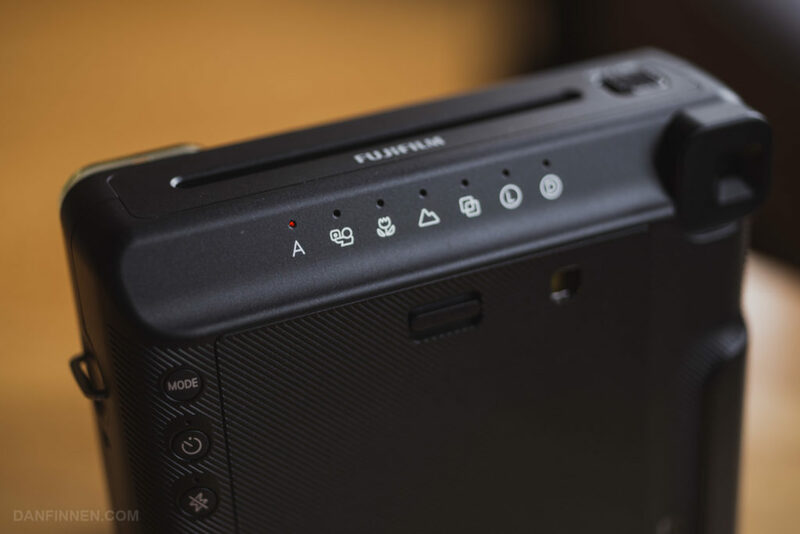 Fuji has a habit of changing their control scheme on every single camera they make, and the Instax SQ6 is no exception. Mercifully, this one is fairly simple. Turn on the camera with a switch on the top, then select a shooting mode by clicking the mode button. A little LED light highlights what state the camera is in as you cycle through. As I mention below, the camera is a very handy size, and the lens retracts into the body when off. A simple on/off slider at the top of the camera turns it on, and the shutter is easy to identify and use. Unfortunately, the viewfinder is small and awkward, but it’s no worse than most cheap instant rangefinder type cameras. A ‘flash off’ button is also included on the back. When triggered, it will light up the little LED above it. However, be aware that the camera will fall back on long shutter speeds if the flash is off, negating much of its value. Exposure and focus are both controlled by the simple menu system on the back of the camera. There are auto, selfie, macro, landscape, double exposure, lighten, and darken modes. On the side, below the mode selector button, is a timer and flash on/off switch. The big auto mode is tempting to use for everything, but this camera really needs some hand holding to get optimal results. One problem with the auto mode is that it seems to focus somewhere between macro and landscape, so things that are too close or too far will be soft. Even in the instructions, I can’t quite tell where the ‘optimal’ focus distance of auto mode falls. Macro mode and landscape mode provide a bit more control over focus, but it’s not a sure thing. Make sure your subject is extremely close for macro, and very far away on landscape. Otherwise, I still often ended up with soft images. Likewise, I got inconsistent results with selfie mode. Maybe my arms aren’t long enough? However, biggest problem comes with exposure. If the environment is at all dark (which is to say everything but a bright, sunny day outside), the camera uses a ‘slow flash’ and long exposure times to supposedly help expose the background more evenly. Slow shutter speeds are a death sentence to getting a decent picture of people, animals, kids, and literally anything that isn’t sitting perfectly still. You know, like everything one would probably want to take a picture of at a party, wedding, or event. 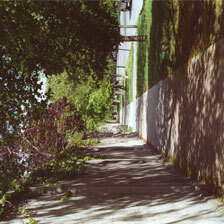 Examples of images that turned out blurry because of camera shake or subject movement with slow shutter speed. I consider myself a rather experienced photographer, having used nearly every type of instant film camera from the past 40 years, and yet shooting with this camera over 50% of my shots tended to come out unusably blurry from either overlong shutter speeds or focus issues. My Instax Mini (and Polaroid) cameras are much, much more reliable when it comes to getting pictures of people. The SQ6 is easily one of the most handsome looking Instax cameras to come out since the Mini 90. Despite a plastic build and fake buttons, it feels solid, has a decent grip, and works just fine. 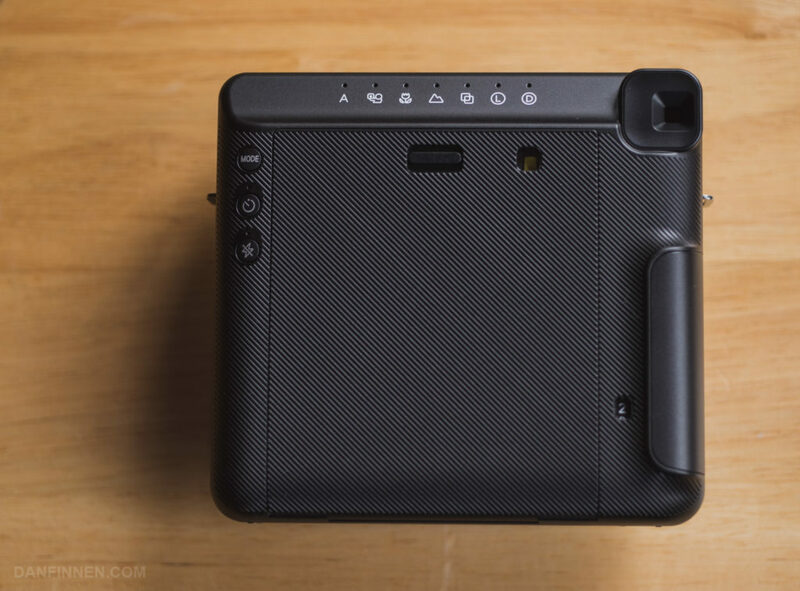 It’s also a very manageable size, and is just a bit bigger than Instax Mini cameras. It’s nowhere near the clunkers that Instax Wide cameras tend to be. Infuriatingly, this camera uses CR2 batteries, an unusual type that I’ve only seen in one other Fuji Instax camera. 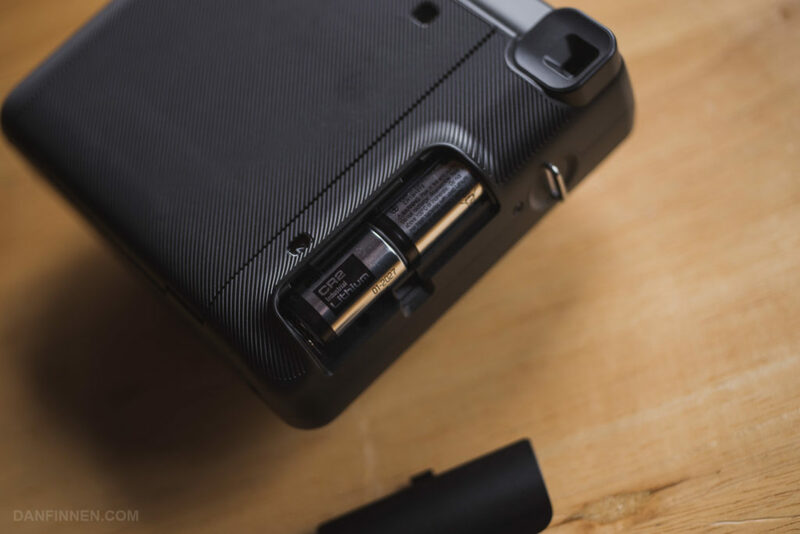 Good luck if the batteries die and you need to continue using the camera, because most people don’t have CR2s lying around. Other Instax cameras use good ol’ AA batteries, so I have no idea why they keep coming back to CR2. CR2 batteries where AA should be. Because I don’t know where else to talk about this, I’ll mention it here: Fuji has taken a page from the Lomo book and included some gels to put over the flash. It’s a fun idea, but be aware that you’ll probably need to compensate for the reduced output of the flash. If it wasn’t for all the problems with exposure and focus, the SQ6 would be the perfect event instant camera. 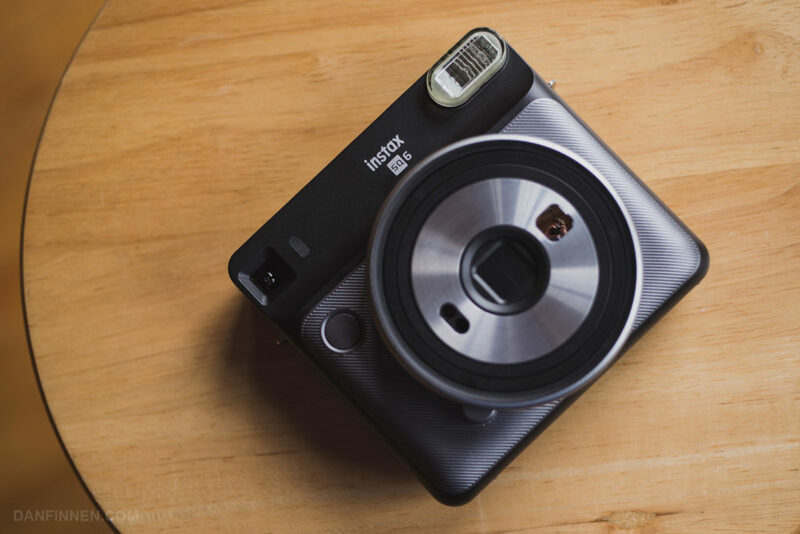 However, the Fuji Instax Mini 8 and 9 are still the best budget options for those who want to dip their toe in instant photography, as they’re easier to use and give better results. 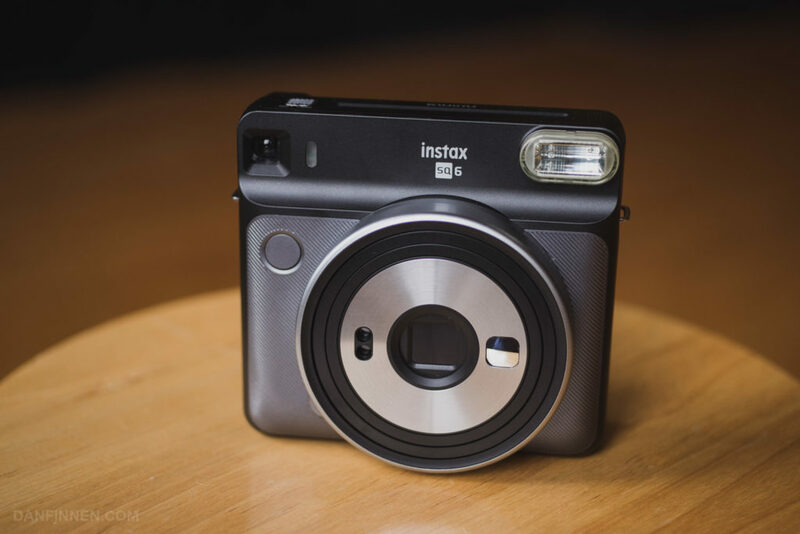 The Instax Mini 90 is around the same price as the SQ6 and is an awesome camera that I can recommend without any reservations beyond the usual disclaimers about Instax Mini’s size. Instax Wide remains the only Instax format that contains roughly the same image area as an actual Polaroid image. 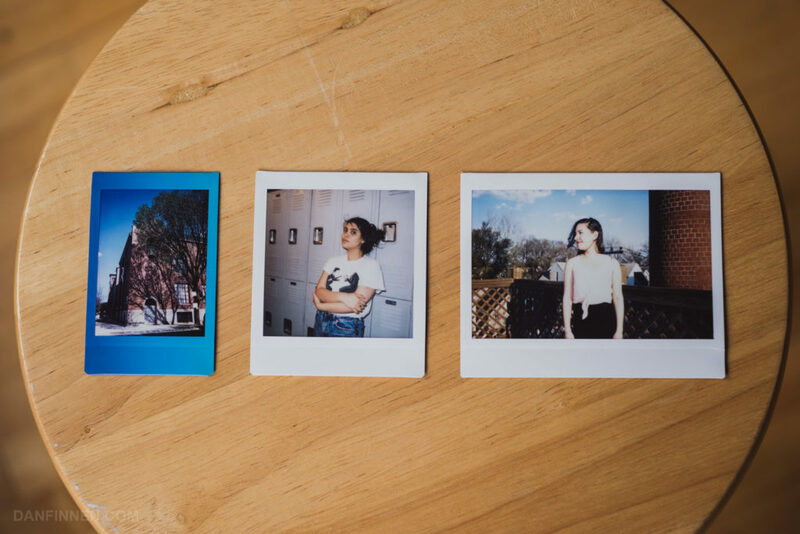 For serious artistic work, the Instax Square format is probably too small for many photographers. While the Instax Wide cameras can be frustrating to use, the larger image is worth the extra work. I’ve compared Fuji Instax films to Polaroid Originals in the ultimate film shootout, and most of those observations still apply here. Generally, Instax film is cheaper and more durable, while Polaroid Originals is more expensive and unpredictable. 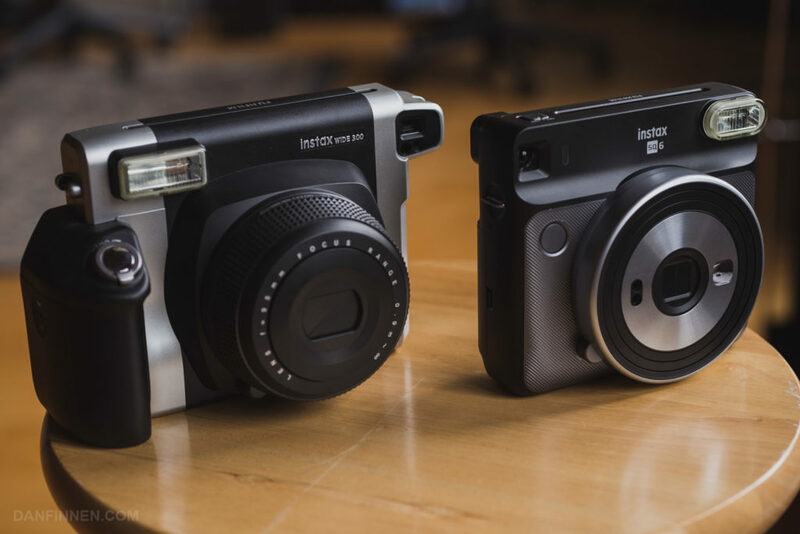 Since Instax Square shares the same exact chemistry as Mini and Wide, you can read those reviews for more information on how the film behaves. I was really excited about the SQ6, but there’s no getting around the blurry results that I consistently got. When it works, it’s great, and if you’re shooting outside you’ll have no problems once you get a handle for the weird focus modes. For now, those who are looking to jump into Instax should look at the Mini 8 or 9 first. If you already have a Mini or Wide camera, the Instax Square isn’t so much better that it’s worth also getting. For now, my Fuji Instax buying guide isn’t changing with this new addition to the family. 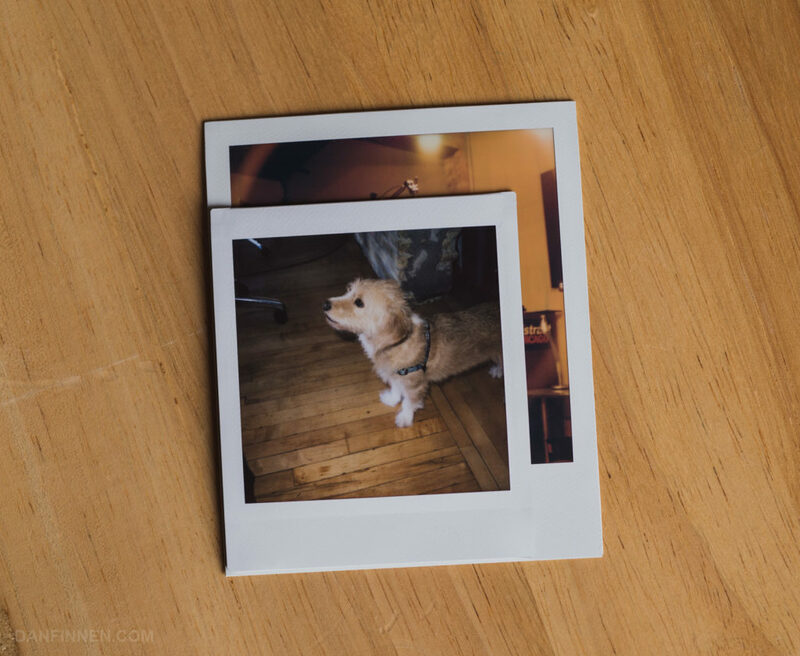 Like Instax Wide, there is still a lot of unrealized potential in Instax Square. If Fuji is able to create a camera as reliable as the Instax 90 in this format, it could really soar. The sad part is, the hardware all works just fine, it’s just the tuning of the exposure modes that hold it back. With some tweaking and clear labeling of the focus modes, this exact same camera could be amazing. Until then, if you have to have a picture that looks like a Polaroid, shoot a real Polaroid camera. You can pick up the Instax Square SQ6 camera on Amazon and B&H. Using an affiliate link helps me keep this site online. Thanks!